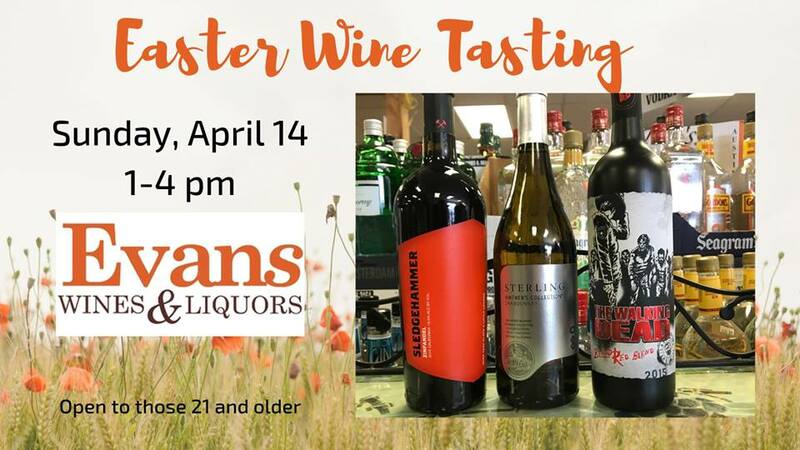 DON'T MISS our Easter Wine Tasting, Sunday, April 14 from 1:00 p.m. until 4:00 p.m. Sample wines so good you'll want to come back for more: Sterling Chardonnay, Sledgehammer Zinfandel, and Walking Dead Red blend. These wines will be **10%** off during the tasting. Open to those 21 and older.